Actually, since long time ago, nature has given solution for several human diseases. Because it is not practice enough, although it more save, that natural medicine has hauled by synthetic medicine. But together with dispread of synthetic medicine side effects, natural medicine, now being glanced again. Several synthetic medicines have scaled off, as doctor and pharmacist knowledge increase of synthetic medicines side effect. One newest news, a indication that there are several antihistaminic and anti-influenza medicines that have circulated to the market and being infatuated by people, obviously can increase blood pressure and causes stroke for long term usage. Because there are some chemical compounds which in America and Singapore they have been banned, like phenyl propanolamine and PPA. The medicine with PPA user get complicated dilemma between scientific reality and experience. That medicine is good and being sold freely, but it is dangerous. But don’t be worry, there is a better and more save solution being offered by nature. Several proofs show that since ancient centuries, human being can cure many diseases by take advantage of some herbs. Unfortunately it ingredient/recipes are not being documented enough. We have loss many of them. But we have to be grateful because some are still exist until now. 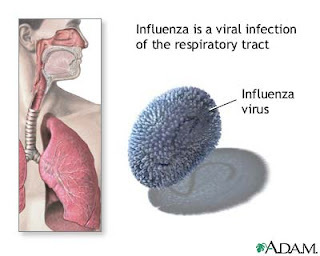 Influenza for example, commonly it has indications like, headache, rheumatic, perspired, fever with cough and cold. So that symptom have been recoverable, and then in medicating, we must find herbs that have benefit as analgesic, antipyretic, roboransia (body fresher), and stomachic. Analgesic Sembung leaf (Blumea balsamifera), papaya leaf (carica papaya), clove (Syzygiumaromaticum), turmeric rhizome (Curcuma domestica) and kencur rhizome (Kaempferia galangal). Antipyretic Cardamon fruit (Amomum cardamomum), Star fruit (Averrhoa carambola), Belimbing wuluh (Averrhoa bilimbi), Bangle rhizome (Zingiber cassumunar), gelatin/cincau leaf (Cyclea barbata) and Cocor bebek leaf (Kalanchole pinnata). stomachic Celery leaf (Apium graveolens), Sambiloto leaf (Andrographis paniculata), temulawak rhizome (Curcum xanthorriza), gelatin/cincau leaf (Cyclea barbata) and Bitter melon/Momordica fruit (Momordica charantia). Roboransia Prickly spinach leaf (Amaranthus spinosus) Kencur rhizome (Kaempheria galangal), Mengkudu fruit (Morinda citrifolia), and Bitter melon/Momordica fruit (Momordica charantia). Antiseptic sembung leaf (Blumea balsamifera), papaya leaf (carica papaya), ketumbar (Coriandum sativum) and pomegranate bark (Punica granatum). Analgesic Poko leaf (Mentha arvensis) and Kelor/ Merunggai leaf (Moringa oleifera). Ofcorus by consume that herbs above, medical not fast as when you drink synthetic medicines. It need more times patience, regularity and also a proportional composition in usage. But, relatively, traditional herbal medicines are more save, especially from negative effect of usage. So why not try it? Carrot (Daucus carota) Rasp and press carrot, add ¾ glass of boiled water, drink it twice a day protein, carbohydrate, Vitamin A, Glutation, Beta carotene. Ginger (Zingiber officinale) roasted and bruised a ginger, boil it with fennel, cinnamon, clove and palm sugar. Filter and drink it tree times a day, 4 tablespoon for adult and 2 tablespoon for kid. gingerol, volatile oil, esin, starch and sugar. Saga (Abrus precatorius) Boil saga leaf, cinnamon, cloves, fennel, pulasari, onion, and sugar, filter it and drink it tree times a day, 10 tablespoon for adult, and a tablespoon for kids. saponin, glisirisin, abrin, and flavonoid. Betel vine (Piper betle) 5 betel vines leaves, cardamom, cinnamon, clove and Kemukus being boiled. Drink it tree times a day, 8 tablespoon for adult, and 1-5 tablespoon for kid Volatile oil, glycoside, tannin. Meniran (Phyllanthus niruri) 3-7 complete meniran tree being pound softly. Boil with 3 tablespoon of water. Add it with a tablespoon of honey. Drink it all at once kalium, mineral, filantin, and resin. Cardamom fruit (Amomum cardamomum) cardamom fruit, cinnamon, betel vine and sugar being boiled with a glass of water, drink it tree times a day. terpineol, terpynyl, acetate, cineol, borneol, chamfer. Antanan (Centella asiatica) a full hand of antanan leaves being pounded to get it extract, add a little salt, and drink it valarin, heteroside, pectin, resin, volatile oil. Kamboja Flower (Plumeria acuminata) boil kamboja flower in earthen cooking pot, add its water with palm sugar. Mix and drink it. triterpenoid amyrin, lupeol, resin. Coconut (Cocos nucifera) rasp coconut and kencur (Kaempferia galangal, add a water and press it. Drink once a day. calories, askorbat acid, vitamin C.
Carrot (Daucus carota) rasp carrot, add piterceli and pounded jeruk bali. Get it extract and drink it. protein, carbohydrate, vitamin A, glutathione, beta carotene.